what can I say, I have no respect for the turkey! 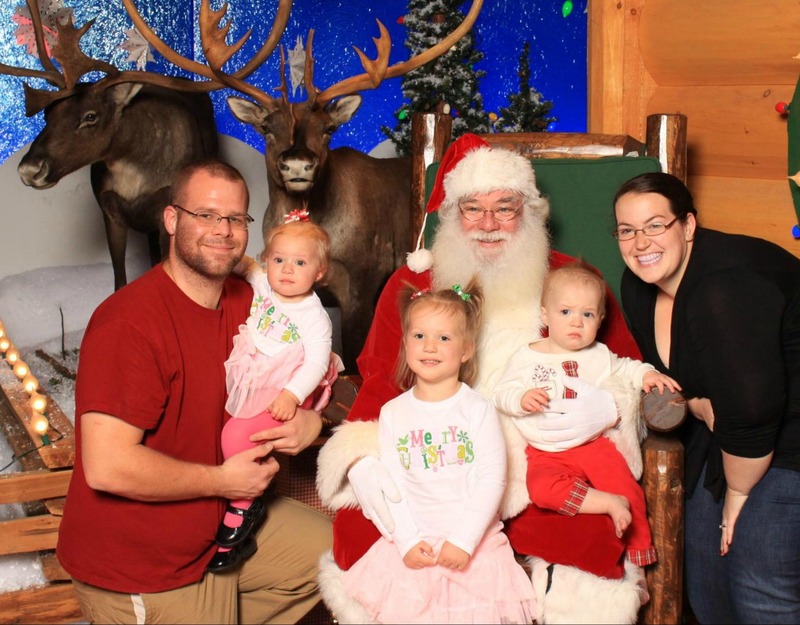 We took the kids Tuesday to Bass Pro to have their picture taken with Santa. This is Gracie's 3rd year going to Bass Pro (2009, 2010). I dressed the kids up in some seasonal clothes so took advantage of it and snapped a few pictures. Poor Carter's hair is growing in straight up. Grace was so excited to see Santa again! We wrote a letter to Santa and brought it with us to put in his mailbox. Since we went so early in the year there was no line! Miss Emma flipped out, so we ended up having to do a family picture. After seeing Santa we went to check out all the other stuff as Bass Pro.